The first Marine Corps bulldog, Sgt. Maj. Jiggs, lent his celebrity to Marine Corps aviation. Sergeant Major Jiggs was the first bulldog to “serve” in the Marine Corps as the mascot. 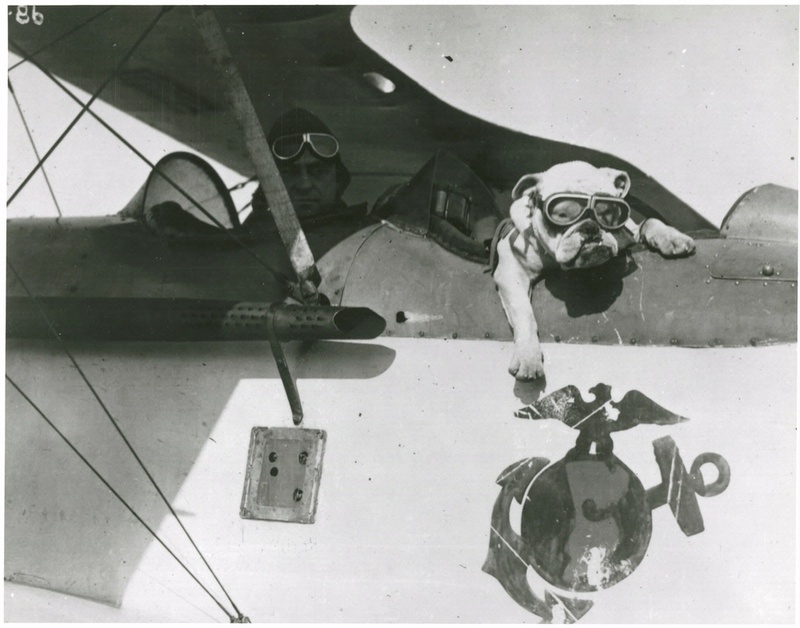 The bulldog became an important Marine Corps symbol during World War I. National Air and Space Museum, Smithsonian Institution (NASM 83-7531).